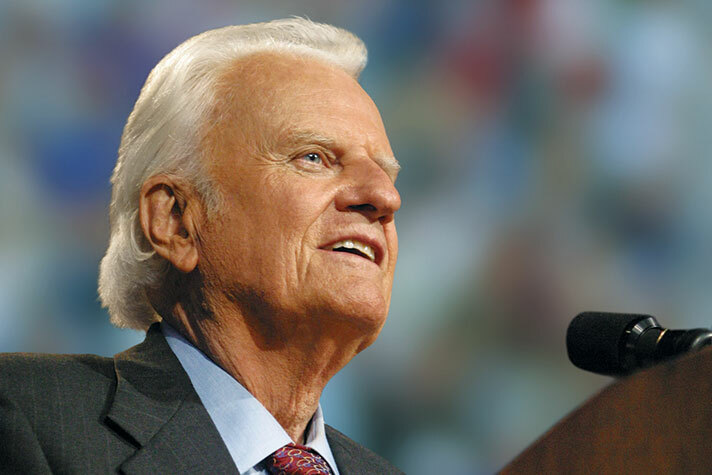 When Billy Graham turned 95 in 2013, the Billy Graham Evangelistic Association (BGEA) asked believers across the country to share his powerful film The Cross with friends and neighbors who may not know Christ. Judy Stitt, a longtime BGEA supporter from New Jersey, accepted the challenge. She invited six neighbors to her home in North Jersey, about 30 miles northeast of New York City. They shared snacks and conversation and watched The Cross, which powerfully explains the message of the Gospel not only through Mr. Graham but through the stories of music artists Lacey Sturm and Lecrae. Over the next few years as new films were released through BGEA’s My Hope ministry, Judy moved the gatherings to her church as she continued to share God’s love with friends and neighbors. There are typically about 12-15 people in attendance at the annual events, but this year Judy has a bold goal. “For this hundredth birthday I would like to see a hundred people,” she said. The plan is to hold a 100th birthday party in honor of Mr. Graham, who went home to be with Jesus on Feb. 21 at the age of 99. He would have turned 100 today. 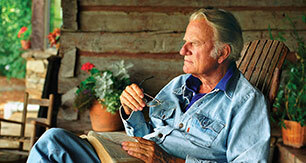 At Judy’s party there will be fellowship, cake and a Billy Graham film. At first, Judy went back and forth over which video to show. The newest BGEA film, The Message Lives On, focuses on some of the toughest moments in Mr. Graham’s life and the ongoing mission to share the Gospel. She also thought about showing Billy Graham: An Extraordinary Journey, which just came out on DVD. But in the end she decided to go with Canvas Cathedral, which tells the story of how God used Mr. Graham—a dairy farmer’s son from North Carolina—to take the Gospel message to millions around the world. Shortly after Mr. Graham’s decision to accept the Bible’s authority as God’s true message to the world, his 1949 Los Angeles Crusade saw unprecedented numbers of people and was extended time and again, lasting for two months instead of the planned three weeks. Many of the people who attended, including Olympian and WWII hero Louis Zamperini, said that event was a turning point in their lives. The BGEA was born the following year and is still taking the Gospel all over the world. People like Judy are part of Billy Graham’s legacy, and sharing God’s love with others is a fitting tribute to a man who spent his lifetime doing the same.